The rewards of creating a successful product are many, but the hard truth is most products and courses don’t succeed. Most failed products are based on an untested assumption about what customers want. As a blogger, you know your audience better than anyone; when you have a great idea, you just know it will change the way your audience lives and works. But most of the time, that gut feeling is not enough to guarantee success – and few people take the steps required to go beyond their instinct to make sure the product is exactly what the market wants. When you have a strong sense of your audience, you also have preconceived notions of what will make a great product. But… what if you’re wrong? What if your audience doesn’t actually have the problem you think they do? Or, what if you are correct about the problem they’re having, but your product isn’t the solution they are looking for? Even if you think you have a great product idea, you place its success in the hands of fate if you don’t validate that the market will actually buy it. By leaving this step to chance, you risk the most important thing to a blogger: your reputation. Because if your product flops, what could happen? Your previously dedicated audience is disappointed, and they unsubscribe in droves. You ruin your relationships with some or all of the other bloggers and affiliates who helped promote your product. You suddenly find yourself back at step one, rebuilding all the relationships that took you months or years to build – if you can salvage them at all. Even if a product flop isn’t a worst-case scenario, it’s still bad for you and your blog. Despite the risk to your reputation if your product flops, there’s some good news. You can take steps to insure your product against embarrassing failure, and even guarantee its success. A technology blogger wants to build a product that helps people learn how to use the hottest new tech gadget. Since it’s something he’s certain will be helpful for his audience, he decides to move forward with creating the product. He doesn’t take the time to see if any of his audience members have actually been asking about the gadget, or if they have complained about not understanding how it works. When the product launches several months later, he wonders why very few of his audience want to buy it. The blogger went ahead and created his product based purely on his own idea, rather than identifying a real need. In other words, he created his product based on an untested assumption. Find out what people seem to want, and quickly test to see if they really want it. But that prompts the question: how do you find out what they want? It’s easy – you spy on them. But what we’re talking about here is less like agency-style spying and more like playing detective, as Leanne Regalla writes in her post on developing empathy. Even if your blog doesn’t have much of an audience yet, you can still gather intelligence by spying on your desired audience in the places where they already hang out online. Study comments left on popular blogs and forums related to your topic. What questions are people asking repeatedly? 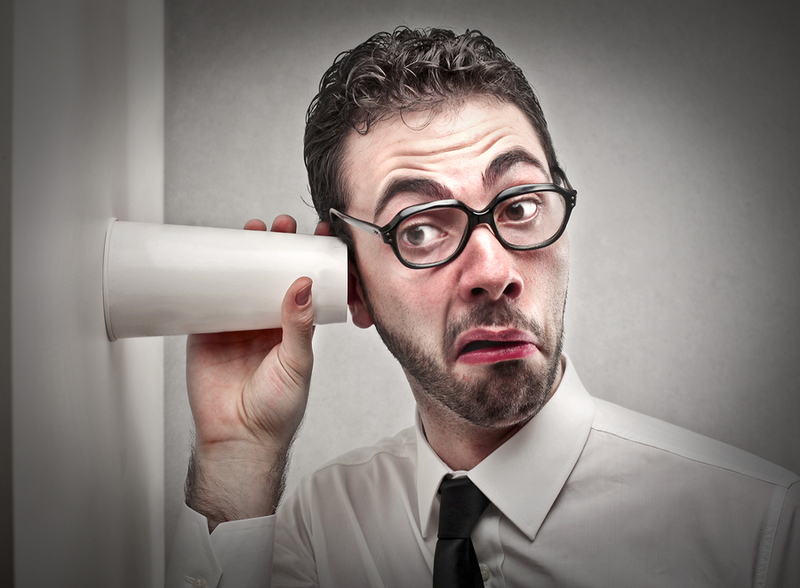 Eavesdrop on conversations happening on social media. Which topics appear most often? As you make observations about the topics and issues that come up most often, keep track of the data you gather. Add this information to a spreadsheet, keeping track of which blogs or social media accounts the comments came from, and the exact language used. As your spreadsheet grows, look for patterns. Does one topic area come up a lot? Within that topic area, is there a specific question that many people ask? Before long, you will likely find a problem that you can solve for them! And once you’ve narrowed in on a specific problem, it’s time to gather more in-depth information about it. The best way to gather information about what your audience wants is to ask them! One way to do this is to create a simple survey, just one or two questions, asking what their biggest challenge is. Share this survey with everyone on your email list, and also reach out to the people in your spreadsheet. You can also share the survey link on social media or advertise the survey online. Take the information you gather from the survey responses and add it to a new sheet in your spreadsheet. After you have gathered all the responses to your survey, you can go even deeper by conducting informational interviews with members of your audience or the survey respondents. You can conduct these interviews over the phone or by video chat – and you’d be surprised how eager people are to share their perspectives with you, if they think you really want to know. During the interviews, you can go in depth about the topic and the problems they have. Take the information you gathered from your in-depth interviews and… you guessed it: add it to your spreadsheet, on the same page as your survey data. But What If Your Sources Refuse to Talk? You gather data for your spreadsheet by eavesdropping on blogs, forums, and social media feeds, but when you reach out with the survey questions, you get nothing but crickets. Or, maybe you get a few responses, but they are all either off topic or unenthusiastic about the topic you asked about. Likewise, your offer of in-depth interviews was met with similar disinterest. These are all strong signs you should go back to the drawing board. Maybe you’ve focused on a problem people don’t feel strongly enough about. Or a problem they don’t believe anyone else can solve. But whatever the reason for the lack of interest, it’s probably time to move on. But don’t be disheartened. This is actually a positive result. You just saved yourself a lot of wasted time and effort developing a product people don’t want! Return to your spreadsheet. Eavesdrop in some new places. Gather more data. And repeat the process until you have a bunch of enthusiastic responses to your survey and interviews. Remember that by conducting as much detailed research as you can in the beginning phases, you will avoid setting yourself up for a product flop later in the process. By the end of this process, you should have quite a bit of data. But what do you do with it all? You’ll have collected a lot of data during the information gathering phase and it may seem like you have easily enough information to move forward. But in truth, your data is still a little too raw to use for making important decisions about your product. You still need to do a little more work on it to ensure that your audience will respond enthusiastically when you make your eventual offer. So your next step is to analyze the information you collected from your spy mission. Open up the spreadsheet where you’ve been keeping all your data to the sheet with your survey and interview responses. Why Should I Throw My Hard-Earned Data Away? It may sound counterintuitive to get rid of data that you worked so hard to gather, but the people who take the most time to respond and write the most detailed responses are also the most likely to pay for a solution to their problem. After discarding the shortest responses, look at how many times each problem comes up, and see if there are patterns to the questions. By the end of this process, you have likely uncovered the problem that your audience is practically begging you to fix for them. But, before you move forward, one word of caution. As you look for patterns, make sure you aren’t using the results to validate an idea you already have, or throwing out any data that doesn’t support that original idea. A personal development blogger wants to teach a course that helps her audience overcome childhood trauma, based on a method that worked for her personally. To validate her idea, she polls a number of friends in the health care and psychology fields and some of her audience members. The data comes back with mixed responses, but she sees that some of the responses include the method she is familiar with. Based on those responses, she decides to move forward with creating the course. Only a few students enroll when the course launches several months later. When she factors in the time costs of creating the material, the course ends up barely breaking even. Do you see the problem this time? The blogger selected the data points that confirmed her own idea, instead of objectively analyzing the data to find out what her audience really wanted to learn. By this point in the process, you’ve discovered and validated a problem that your audience (or desired audience) wants solved. You may even have some clues about the direction the solution should take. So you can finally start creating your product, right? Let’s revisit the example of the personal development blogger. Not only did she let her own personal biases skew the data, but she also made another mistake. She created her course without validating the basic idea first. That’s why her launch was a flop. Before creating your product, it’s crucially important to confirm it’s a solution people will pay for. And the best way to do that is to sell a pilot version of the product. What the Heck is a Pilot? Most people won’t be willing to take the chance on your idea at this early stage, but that doesn’t matter. You’ll target those who are enthusiastic about getting in on the ground floor of your idea. Your pilot members will be offered a significant discount off the eventual price of the full program in exchange for being actively involved in giving feedback as the product is in development. To create your pilot, you’ll start with an outline of the material to be covered in the course, and only build out the course to what we call “minimum viable richness” – only as much content and supporting material as absolutely necessary to solve the problem for most people, and no more. But, before you create any of that content, there’s one final level of validation: selling the pilot. Let’s Sign Up Your First Paying Customers! The ultimate validation of whether you have a viable product idea is to find out if people will actually open their purses and wallets to get it. And the only way to do that is to offer your yet-to-be-created product for sale. Here’s how to do it. First, you open a brief registration window for your course. When you reach out with your sales pitch, you will want to use the same language your audience uses to describe the problem your pilot solves. This is where the in-depth research you did in previous steps will really come in handy; look back at the survey responses and notes from your interviews. How did the respondents describe the problem? Use their exact words in your sales copy. You’ll base the number of spots available in the pilot on the costs you need to cover, balanced against the number of people that you feel comfortable supporting during the pilot. While your registration window is open, promote it like crazy. Email your own audience, call in favors from other bloggers, and talk about it on social media. Once your registration window has closed, and assuming you’ve reached the numbers you need for a successful pilot, it’s time to start creating the content based on your outline. For many products – like training courses – you can roll the material out incrementally, module by module, collecting valuable feedback along the way. This way, your eager customers are not waiting months to get the product. Once the pilot is complete, you can use the feedback to build out your full product and relaunch it – with an increased price tag. What If Not Enough People Buy The Pilot? If you don’t fill enough spots to make your pilot viable, then it’s a sign that your product is not a good match for the market. This is disappointing of course, but not nearly as disappointing as creating the entire product and then finding out nobody will buy it! In this Kickstarter era, most people understand that not every cool new product sees the light of day. So if you’re candid with your early adopters, thank them for their support, and (of course) issue a prompt refund, you should find they’ll be receptive to hearing about your next product. This process may sound like a lot of work, and the truth is… it is! Creating products that solve people’s thorniest problems requires time and effort. Hard work that turns out to be wasted effort. That’s why it’s much better to spend time up front to determine if your product will sell, rather than spending countless hours and dollars to create something that flops. There’s an audience out there that wants to pay you to solve their biggest problem. About the Author: Danny Iny is the co-founder of Firepole Marketing, and creator of the Course Builder’s Laboratory. For a limited time, he’s giving away a massive “Done For You” swipe kit of email templates that you can copy-and-paste to sell your own pilot course.